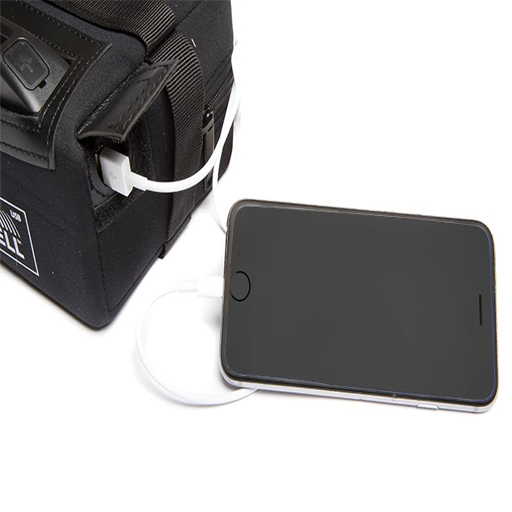 The brand new Caddy Cell Lithium golf battery is the 1st Lithium battery on the market to have a built in USB port which allows you to charge any device which uses a USB charging cable such as a mobile phone. Great not only for golfers, but also for campers etc. This incredibly light Lithium Ion polymer battery (LiFePO4) from Caddy Cell is one of the safest, most advanced Lithium batteries you can buy. The all new Caddy Cell 16ah lithium golf battery is purpose designed for use on any golf trolley that currently uses a 12 volt lead acid battery, no changes or alterations needed. Built in USB port allows you to charge any device with a USB cable, such as a mobile phone. Complete with connector to fit PowaKaddy, Hill Billy, MotoCaddy and anything in between!